They're kind of like Cape Cod chips. Maybe not quite as crunchy, but still good. 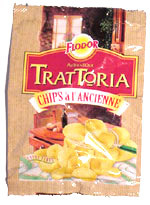 This snack was discovered by Jeremy at The Louvre, Paris.